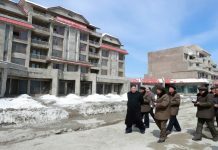 On February 9, the State Affairs Commission– according to North Korea’s constitution it is the “supreme state organ of policy direction of state sovereignty”– revealed that some of the electricity being produced by a hydroelectric dam in North Pyongan Province is being sold to China. 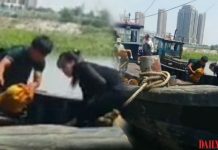 Although North Korea struggles with electricity shortages, the export of hydropower is seen as an attempt by the regime to maintain its financial lifelines. It is estimated that the regime earns between US $60,000 – $100,000 per month from these energy sales. Existing international sanctions ban North Korea from exporting coal and minerals, and place hard limits on additional deployments of overseas laborers. The sale of electricity is seen as a measure of last resort by the cash-hungry central authorities. This move highlights the regime’s continued attempts to overcome sanctions by any means necessary. The strategy capitalizes on the fact that electricity exports are not expressly forbidden by international sanctions. The source said that the North Korean side convinced the Chinese to purchase the electricity due to the steep discounts on offer. In the end, it will be the North Korean people who lose the most from such transactions. Despite the impoverished country’s chronic power shortages, the regime has chosen to export electricity to earn money for itself. “The Supung Generator normally sends power to a munitions factory. 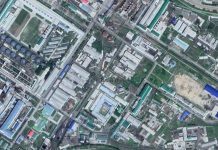 So the amount of electricity sent to Pyongyang will be reduced a little,” an additional source in North Pyongan Province said. He explained that the electricity provision in Sakju County – where the generator is located – is in an extremely poor state of affairs. The abrupt choice to export electricity means that the absolute amount of energy supplied domestically will be reduced. Power will continue to be supplied first and foremost to Kim Il Sung and Kim Jong Il idolization sites, munitions factories, and essential government organizations like the Party, and intelligence bodies, etc. “If the Supung Generator provided energy for civilian purposes, then it would help alleviate the chronic shortages,” he added. The Supung Generator was built by Imperial Japan in 1940 and is located between Sakju County, North Pyongan Province, and China’s Liaoning Province. Originally, North Korea and China agreed to split the electricity 50/50, but in 1995, it was decided that China would receive all the energy and Beijing would supply North Korea with crude oil. In May 2010, after Kim Jong Il visited China, it was decided that the majority of the electricity produced would stay in North Korea.